Specialist Engineering and Construction Law Attorneys. We are a firm of specialist construction lawyers, providing legal advice, support and dispute resolution services exclusively to parties engaged in the engineering and construction fields. Construction contracts generally comprise of a complex array of documentation. We have decades of specialist experience, familiarity with the terminology and first-hand understanding of the implications of both what is written and unwritten so as to critically evaluate the different constituent parts of construction contract documentation, identify potential problem areas and to draft agreements that mitigate against such problems. Notwithstanding the very best contract documentation, the nature of Engineering and Construction projects is such that changes and unforeseen events are inevitable. Dealing with these changes in the proper manner requires not only an understanding of the parties' rights and duties but also sensitivity to the commercial reality of needing to maintain cordial contractual relationships as much as possible. This can only be achieved by having the first-hand experience of the day-to-day realities of construction projects. Resolving construction law disputes is a highly specialized field requiring an astute strategic approach coupled with a thorough understanding of the particular law and a real understanding of the facts of the specific case. We have the experience and expertise in all these facets to enable our clients to obtain the very best results in all forums including mediation, DAB's/DRB's, arbitration (domestic and international) and litigation. 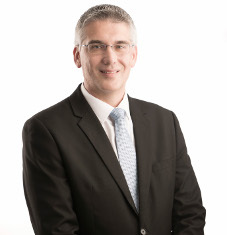 Our practice was founded in 1995 by Carlos Tiefenthaler who, having qualified as a civil engineer, quantity surveyor and lawyer, had a vision of establishing and developing a world-class legal practice providing specialised legal services to the building and engineering construction industry. We have been fortunate enough to have worked on matters in South Africa, across the African continent and throughout the Middle East on the broadest spectrum of construction projects. In doing so, we have built up an impressive résumé of over 2000 projects in which we have successfully resolved a wide array issues for our clients which include some of the world's most prominent construction firms and employers. Since its inception, the practice has deliberately refrained from becoming involved in any legal work that isn't related to the engineering and construction industry, choosing, instead, to become a true specialist in its chosen field. The result of this focus is that the practice now boasts of being the largest and most experienced legal firm operating exclusively in the field of construction law in South Africa. Our team comprises of more than a dozen attorneys focused solely on our chosen fields of specialisation. Our selection criteria when appointing professional staff examines not only academic ability and past experience but also the desire to specialise and the right personality for what can be a very challenging field of practice. Our attorneys are supported by an excellent team of candidate attorneys, administrative personnel and office staff and we pride ourselves in the fact we have developed a close-knit practice with extremely low levels of staff turnover. LLB, FA Arb, B.Tech(QS), NDQS, MQS. Martin is a partner, an admitted attorney of the High Court of South Africa, a member of the Association of South African Quantity Surveyors and a fellow member of the Association of Arbitrators. As a specialist construction lawyer, he provides contentious and non-contentious legal services exclusively to the industries of construction, engineering, energy, technology, oil and gas. 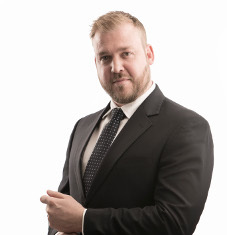 He has represented clients in the resolution of disputes through negotiation, adjudication, mediation, arbitration and litigation in South Africa, Australia, Kyrgyzstan, Romania, Sri Lanka, Qatar and The United Arab Emirates. Martin takes a keen interest in all aspects of aviation. He is a licensed pilot and enjoys the challenge of flying helicopters in his spare time. 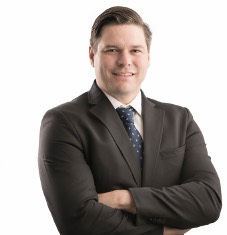 Ryan is a partner holding an LLB degree, an admitted attorney of the High Court of South Africa and an associate member of the Association of Arbitrators of Southern Africa. He specializes in all matters relating to construction and engineering law. His experience includes front-end negotiation, drafting of contractual terms and conditions (standard term contracts and project specific), contract based litigation, arbitration and other forms of dispute resolution. He assists various national and international construction companies, mining houses and engineering firms in all aspects of construction law. When not at the office, Ryan plays golf and the rest of his time is taken up enjoying his new-born son. Paul is a partner and specialist construction and engineering litigation and alternative dispute resolution lawyer, who started with the practice in 2009 as a candidate attorney. He has advised clients on various aspects with respect to the standard form construction and engineering contracts (FIDIC, NEC, GCC and JBCC Agreements), as well as having been involved in the drafting of bespoke contracts for clients. He is part of the team representing a rail contractor (on an exclusive basis) in arbitration, in what has been termed a “mega claim”, with the value being in excess of R 4 Billion. He has BA and LLB degrees from the University of the Witwatersrand, is an associate member of the Association of Arbitrators, a member of the Law Society of the Northern Provinces and has had a number of articles published in the field of construction and engineering law. Paul is a keen supporter of South African sport and an avid golfer. 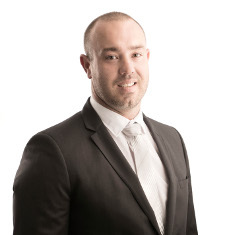 Deonn is a partner and admitted attorney of the High Court of South Africa, who has specialised in all aspects of Construction and Engineering Law for the last ten years. Before that, he was employed by a successful Durban legal practice where he was head of the civil litigation department. He specialises in construction litigation, arbitration and alternative dispute resolution procedures, drafting of construction agreements and advice on contract administration. He has a wide range of expertise in respect of all contractual claims and issues related to construction contracts such as FIDIC, NEC, JBCC and GCC. When not at the office Deonn enjoys all outdoor activities, watching sport and spending time with his family and friends.